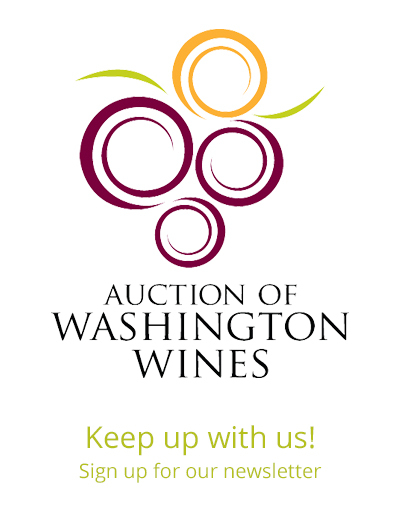 Auction of Washington Wines (AWW) celebrated its 30th anniversary at Chateau Ste. Michelle winery in Woodinville, Wash. this weekend, and raised $4.19 million for Seattle Children’s Hospital and Washington State University’s (WSU) Viticulture & Enology Program. AWW not only set a record, but surpassed their goal to raise $3.5 million this year. To compound the impact of this tremendous effort, The Wine Spectator Scholarship Foundation announced a $1 million donation to WSU’s viticulture & enology program at the Auction of Washington Wines 30th Anniversary Gala. AWW Winemaker Picnic & Barrel Auction (Thursday, Aug. 17): The picnic sold out for the first time ever. The annual picnic brought together more than 1,500 attendees for picnic games, gourmet fare prepared by Tulalip Resort Casino and wine tastings from more than 80 Washington winemakers. Guests bid on one-of-a-kind wines through wine barrel and silent auction. AWW Private Barrel Auction (Friday Aug. 18): For the third year, the Private Barrel Auction provided a unique opportunity for retailers and restauranteurs to bid on rare wines specifically produced for this occasion and raised $130,000. AWW Winemaker Dinners (Friday Aug. 18): Winemaker dinners took place at private estates around the greater Seattle area on Friday evening. Some of the winemakers included were: Andrew Will, Sparkman Cellars, Pepper Bridge and DeLille Cellars, alongside notable chefs such as Josh Henderson of Huxley Wallace Collective, Jason Wilson of Lakehouse, Lisa Dupar Catering and Jason Stoneburner of Stoneburner. Columbia Winery Charity Walk & Run (Saturday, Aug. 19): The annual run, complete with delicious bites, wine tasting and live music raised funds for autism, cancer clinical trials and uncompensated care at Seattle Children’s Hospital. 30th Anniversary AWW Gala (Saturday, Aug. 19): The Gala culminated the weekend of events and featured a live and silent auction lots. A trip to Italy with Bob and Cathy Betz exploring the Antinori vineyards and cellars of Tuscany and Umbria received the highest bid of $100,000 for the evening. Local Washington winemakers provided pairings for guests during a four-course plated meal provided by chefs Paul Duncan from Ray’s Boathouse, Josh Henderson from Huxley Wallace Collective and Nikol Nakamura and Perry Mascitti from Tulalip Resort Casino. Throughout the evening, we heard moving speeches from honorary chair, Tom Matthews, executive editor of Wine Spectator; honorary vintners, Chris and Kelly Sparkman of Sparkman Cellars; community co-chairs, Yahn Bernier and Beth McCaw; and honorary grower, Tom Merkle. The event was well attended by prominent Seattle attendees, including: Jon and Gretchen Jones (Brighton Jones), Doyle and Alane Simons (Weyerhaeuser), Jeff and Amie Sperring (Seattle Children’s CEO), Peter and Julie Rose and WSU President Kirk Schulz and wife Noel.